Looking for a way to spice up your christmas presents? Have a look at this funny Christmas quote! You can easily download the file (make sure you have PDF reading or viewing software installed) and print it. Put it in a frame or just attach it to one of the presents you are giving to e.g. you husband or boyfriend. Success guaranteed! 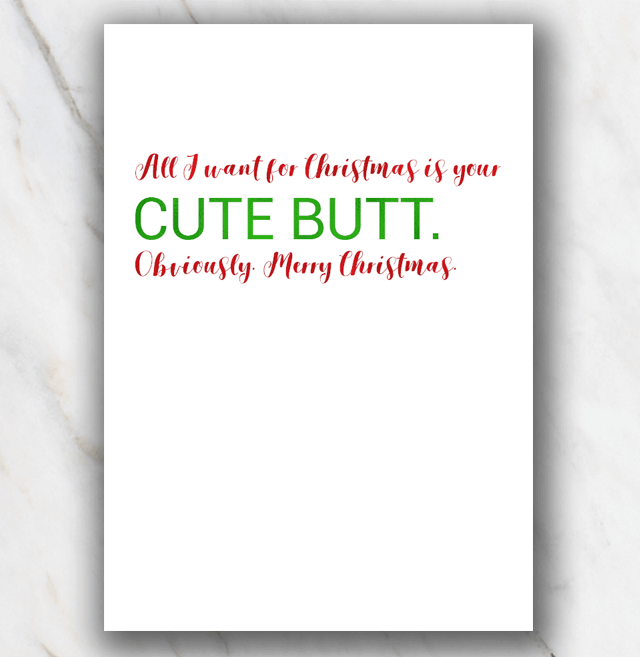 Looking for other funny Printable Christmas Quotes? Check out the overview page with all other funny Christmas quotes.